Being outdoors gives you a sense of wonder and fulfillment unparalleled by most other things on this planet. You can spend days on end enjoying nature and love hunting for the best gear to make your stay the most rewarding it can be. But when it comes to shelter, why do we settle for sleeping on the cold hard ground? Even when we’re out traveling and exploring the world, why limit yourself to where you can find a bed? Let me take you into the world of hammocks – and you’ll never be let down. One of the best reasons to get travel hammocks is that they are so comfortable and easy to relax in. 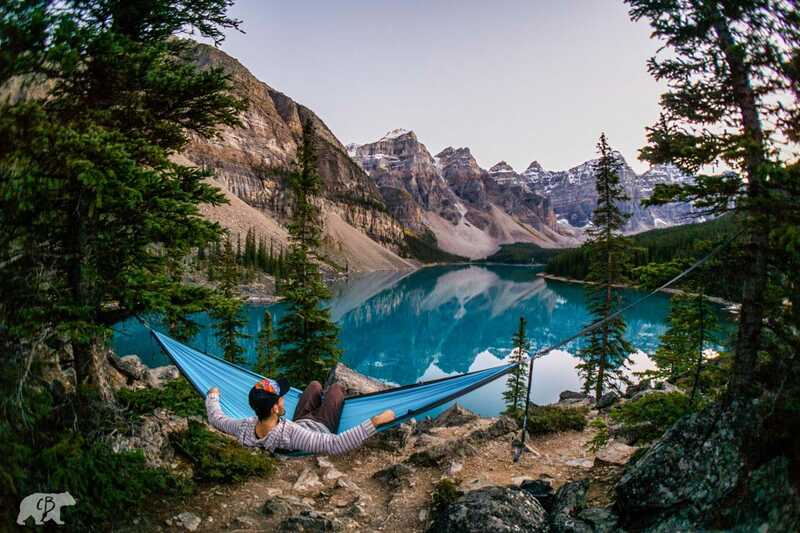 Portable and lightweight hammocks can be placed just about everywhere, and because of how they’re made, the sleeping surface molds itself to your unique body shape, giving you the most comfortable rest ever. 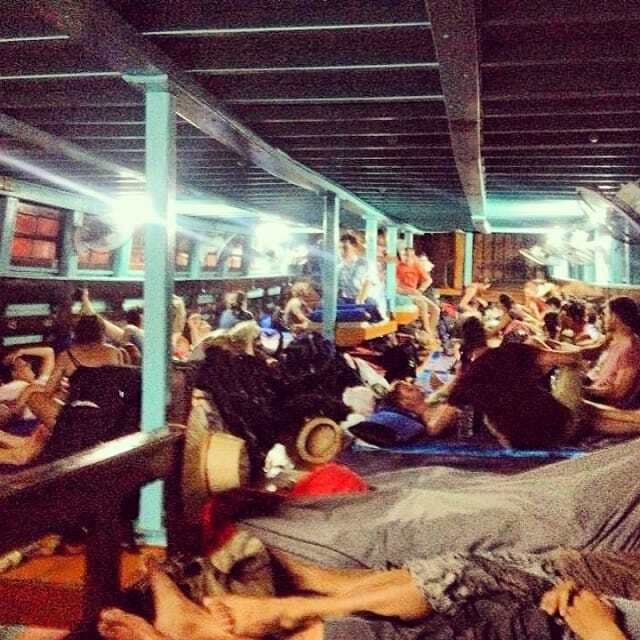 We’ve even used our hammocks on ferries before while island hopping in Thailand! Not to mention backpacking hammocks are supposed to be remedial for people who are having back problems. They are an easy and inexpensive way for you to get your hands on a compact and lightweight shelter. Now you can be a true explorer and be able to go and stay exactly where you want. If you’re going to any tropical or exotic locations, you’ll always want to be bug proof. You never know what kinds of insects, not to mention mosquitos, will join you in bed. Hammocks were designed to keep you off the ground away from the snakes, scorpions and other ground dwellers. With a bug net net, you’ll be bug free and sleeping in peace. In places where you can wake up with a scorpion or a snake sharing your bed (if you wake up at all), you’ll need a little bit of protection. Traveling during the rainy season always brings about challenges. What do you do when the monsoon unexpectedly rolls through, as it so often does? You can stand around getting soaked to the bone, or settle into a hammock and take a nap until it’s all over. With a proper rainfly, you’ll be protected from any type of storm that tries to spoil your trip. From personal experience, we’ve taken a night boat in Asia where the sleeping quarters were more than just tight. Each person had about 3 feet of bed space. On both sides, were complete strangers – cuddle up! Myself and a few buddies decided we liked our personal space a little more than getting intimate with strangers. We set up out hammocks on the support poles and had a wonderful night. The rocking of the hammock even countered the rough swaying of the boat. It definitely helps if you get motion sickness! 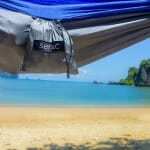 A good, lightweight backpacking hammock is a must bring when it comes to traveling. 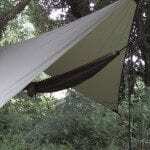 Learn how to pick the out your perfect hammock. They’re so versatile and can be set up almost anywhere you go, giving you an instant relaxation zone. 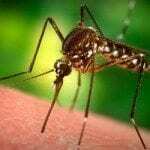 Rain or shine or bugs, there’s nothing a good tarp and mosquito net can’t protect you from. Cozy up in a hammock and experience your surroundings. What better way to be in the moment than to actually live in it. 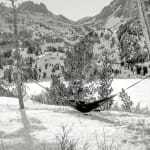 This entry was posted in Hammock Benefits and tagged Backpacking, benefits, Camping, Guide, hammock.